We’ve featured Joe Achilles’ BMW M2 Competition here before because, well, he’s a YouTuber with an M2 Competition. Pretty simple, really. But what’s interesting about his channel is that he actually modifies his cars, shows the process, meets with the people involved and then uses his cars. So it’s good content, especially for other owners of the same cars. 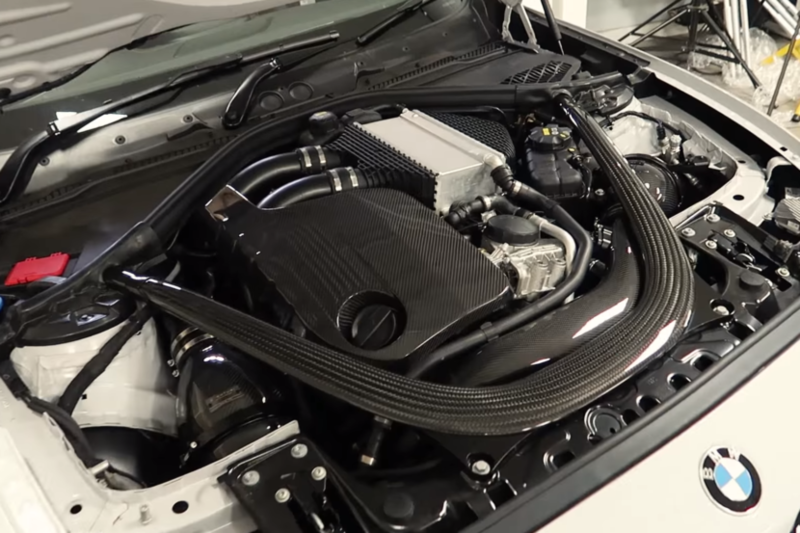 In this new video, he takes his BMW M2 Competition to our friends at Evolve Automotive for some upgrades. Evolve Automotive is one of the premiere BMW tuners in the UK and does some genuinely fantastic work. The co-owner of Evolve also makes Eventuri intakes for high performance cars, so Evolve naturally uses them a lot and that’s exactly what Achilles went to them for. 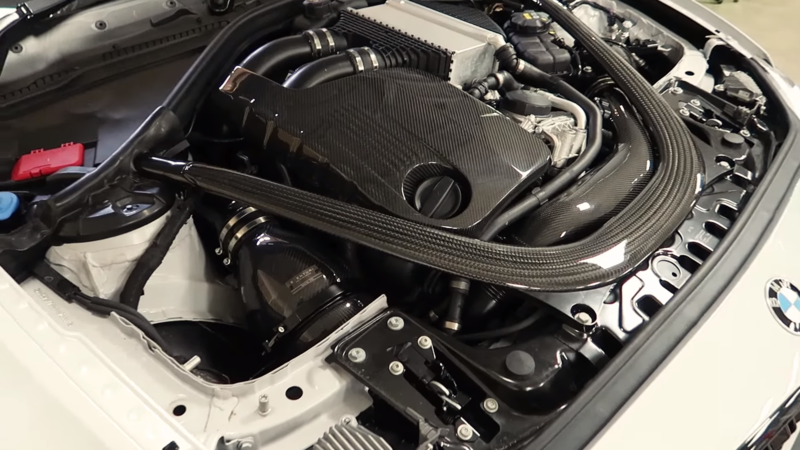 In the video, Achilles gets an Eventuri intake and engine cover fitted to his car, both of which are made from meticulously crafted carbon fiber and, in combination with the carbon strut brace, look incredible. He’s not kidding when he says that the engine bay becomes pornographic after their installation. We also get to hear from Evolve’s owner Imran Arshad, who we’ve watched in many videos before, as he talks about the new intakes, how they work and how they’re made. We also get a look at Evolve’s Project Vyper BMW M3, which looks much better after all of the work they’ve done to it. It also puts out about 600 hp, which is kind of terrifying to be honest. I’ve had my fair share of pants-ruining moments in the standard M3/M4, I’m not sure I want to find out what one with 600 hp feels like. Back to the video, though, as the new Eventuri intake definitely makes a difference in terms of induction noise. Though, no offense to Achilles, it doesn’t do enough to compensate for the fact that the S55 just isn’t a great sounding engine. Its intake noise is nicer now but its exhaust noise still isn’t great. Having said that, it does sound better than an M4.